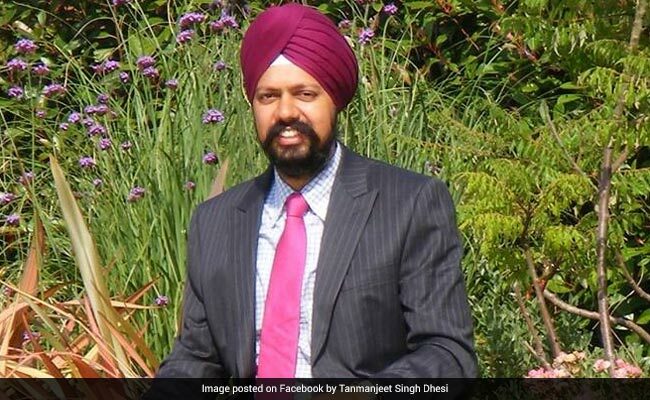 The campaign for a new Sikh war memorial was led by Tanmanjeet Singh Dhesi, Britain's first turbaned Sikh MP, who now has the support of the UK's Ministry of Housing, Communities and Local Government to help set up a Working Group to find a suitable location. London: The UK government has agreed to support and fund a national memorial to honour the sacrifices and contribution of Sikh soldiers who fought for Britain and its allies during the two World Wars. More than 83,000 turbaned Sikh soldiers gave their lives and more than 100,000 were injured during the wars. "We are indebted to all those servicemen who volunteered to serve and fought to defend the freedoms we enjoy today," said UK communities secretary Sajid Javid yesterday as he announced government backing for the new memorial in London. "A Sikh war memorial in our nation's capital will honour their sacrifice and ensure that this part of our shared history is never forgotten. So, I'm delighted to get behind this campaign and ensure its success," he said. Once an appropriate site has been identified and detailed plans agreed, the ministry has agreed to provide funding towards the project. "The part played by Sikh servicemen really stands out a contribution that is all the more remarkable when you consider that these brave men travelled thousands of miles to fight for a country that wasn t their own," said Javid. Over 27,000 people had signed an online petition by Dhesi, the Labour party MP for Slough who also submitted an Early Day Motion (EDM) in the House of Commons on the issue, which attracted cross-party support from over 260 MPs. "Given that the Sikh community, which is very proud of its military traditions, there has been a demand for more than a decade for a Sikh memorial in a prime central location in London," Dhesi said. "Britain owes a huge debt to the Sikh service men and women who fought alongside British troops in the First and Second World Wars. I look forward to supporting the work of the new National Sikh War Memorial Trust in lobbying for proper recognition of these courageous individuals," added London Mayor Sadiq Khan. According to official records, despite making up only 2 per cent of the Indian population when the First World War broke out, Sikhs accounted for more than 20 per cent of the Indian Army's manpower. Sikh soldiers from Punjab and surrounding states saw action in Europe, Africa and the Middle East, most notably on the Western Front and at Gallipoli. On the Western Front Sikhs fought and died alongside their British, Indian and Commonwealth counterparts. Their contribution was essential to the war effort and of the 22 Military Crosses awarded to Indian soldiers, 14 went to Sikhs.